For use to replenish Iodide levels. Can help coral retain colour. 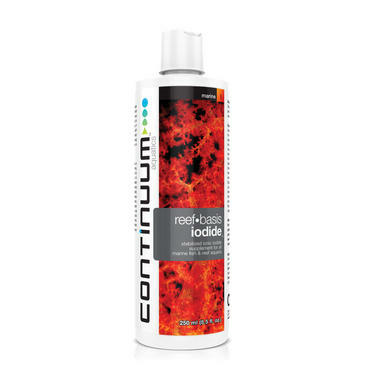 In Marine or Reef aquariums, some creatures and corals need Iodide to grow, retain colour and shield against strong lighting. This essential compound can be removed through daily aquarium activites like filtration, skimming and used up by inhabitants of the tank. Reef Basis Iodide is a stabilized and safe iodide supplement designed to nourish the organisms and supplement the missing chemical. The Iodide is useful for soft corals of all kinds, as well as gorgonians, hard corals, tunicates, marine worms like feather dusters, sponges, macroalgae and crustaceans like shrimps. Growth rates in xenia and gorgonians will likely improve with its use. It also helps clams and corals retain colour. 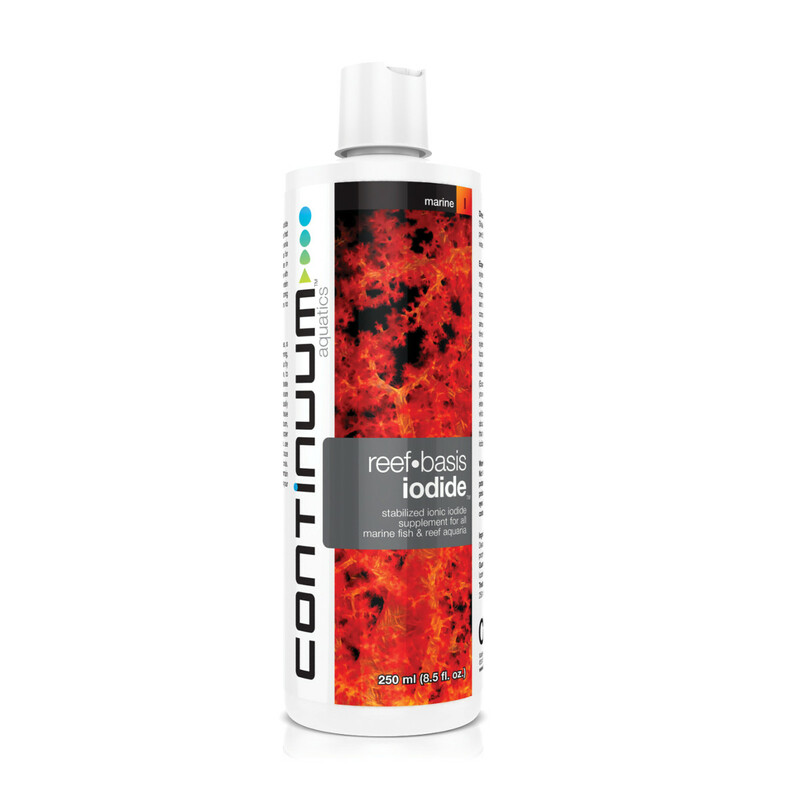 Continuum recommends that you maintain about .04 to .06 mg/l (ppm) iodide level in your aquarium, if measuring. Shake well prior to use. Add 1 capful (5 ml) per 41 gallons (200 L) of marine aquarium water 2 to 3 times per week. Do not overdose!